Sen. Kirsten Gillibrand (D-N.Y.) apparently took pandering lessons from Hillary Clinton. Following in the footsteps of the former secretary of state and 2016 Democratic presidential candidate, Gillibrand — an aspiring president herself — awkwardly “preached” to a black church congregation last week in honor of Martin Luther King, Jr., Day. Gillibrand was at the church delivering a speech for the Rev. Al Sharpton’s National Action Network’s King Day Public Policy Forum. Gillibrand kept speaking, her feet shuffling around the stage. She told the largely black audience to “wield the sword of the spirit” — a reference to Ephesians 6 — before quickly moving on to tell the crowd the “Good Book promises us the light shines on the darkness and the darkness has not overcome it,” a reference to John 1. The Democrat’s appearance last week was reminiscent of a speech Clinton gave in 2008 at a church in Selma, Alabama. At the time, the then-presidential candidate adopted an incredibly thick southern accent and appeared to be speaking in some sort of broken English. 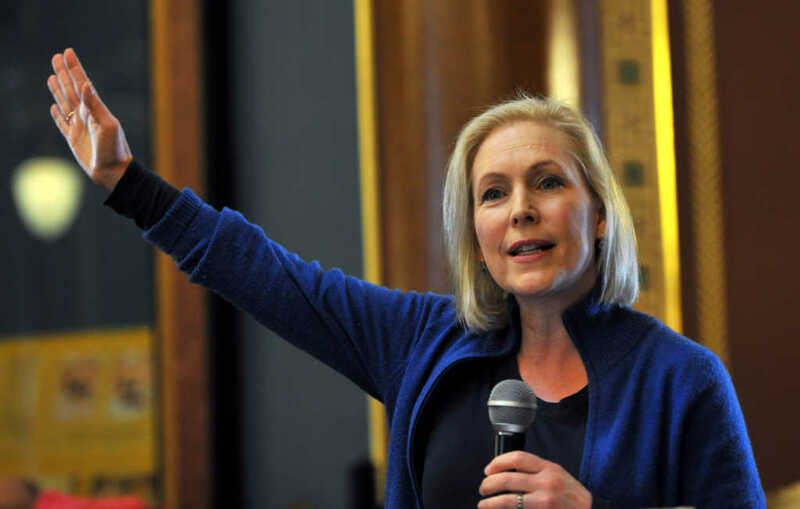 To be fair, Gillibrand — who identifies as Catholic — does seem to take her faith somewhat seriously, despite her unflinching support of abortion, which is anathema to the teachings of the Catholic Church. Sen. James Lankford’s (R-Okla.) team told the Religion News Service in 2017 that Gillibrand is one of the handful of Democrats who participate in a weekly congressional Bible study.